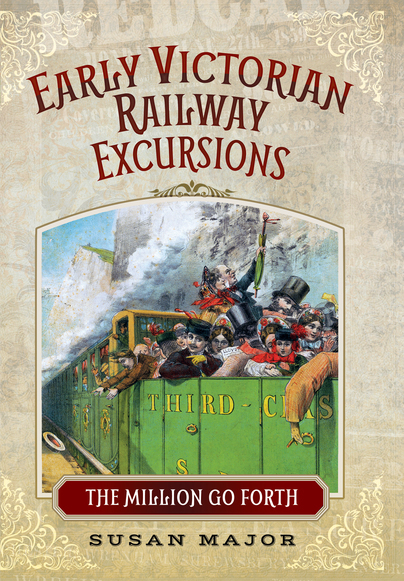 In her book, Early Victorian Railway Excursions – The Million Go Forth, Susan Major looks at the impact of cheap railway travel on the lives of ordinary people in early Victorian times. For the first time, they were able to travel long distances from home and take part in leisure activities in great numbers. Susan will be giving an illustrated talk about her research to The Bishopthorpe Local History Group on Tuesday, 14 March 2017 at 7.30 pm, Bishopthorpe Methodist Hall, Sim Balk Lane. The cost to non-members is £3.50 on the door and includes light refreshments.